XSigma will aim to give ZK International the ability to develop innovative solutions to support its core operations while exploring new opportunities in the fields of smart contracts, distributed ledgers, supply chain management, and other efficiencies afforded by blockchain architecture. We have the expertise to tailor the specification of our products, providing clients with environmentally friendly and safe water and gas pipeline networks. We are proud to have supplied some of the biggest national landmark construction projects in China including the China Pavilion of Shanghai Expo, Beijing National Aquatics Center "The Water Cube", Beijing National Stadium "The Bird's Nest", and Beijing International Airport. Our competitive advantages enable us to maintain and further increase our position in the pipe and fitting manufacture industry. They include solution-oriented products and services, an integrated supply chain and more. 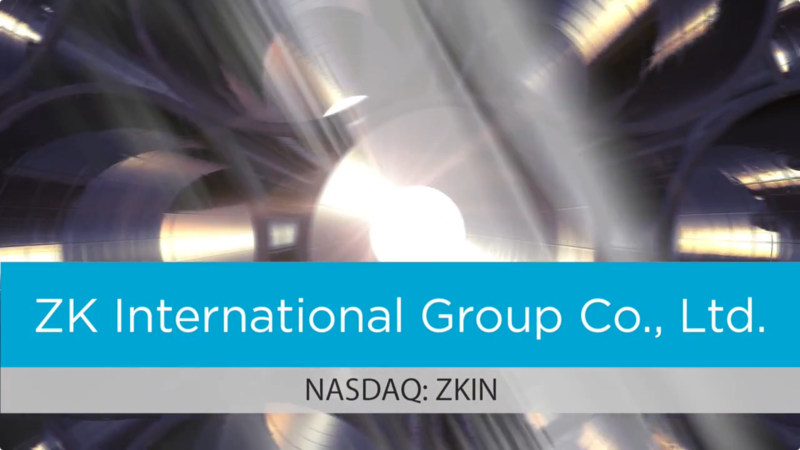 ZK International Group Co., Ltd.